Litha, Summer Solstice or Midsummer is a celebration of the Goddess and God at the height of their power. They are the King and Queen of the fertile lands, and together they rule over the fertile, growing Earth. Their mature love for each other ensures the success of the ripening crops. The Goddess heavy with pregnancy mirroring the heavily laden fields, orchards and gardens. 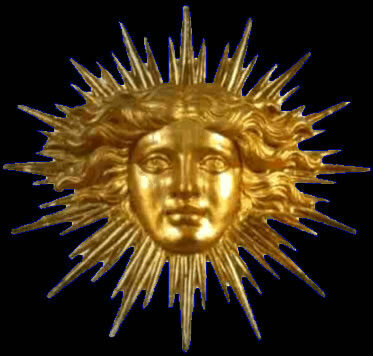 The God is the living representation of the summer sun, the Sun King who nurtures and protects the Earth Goddess. 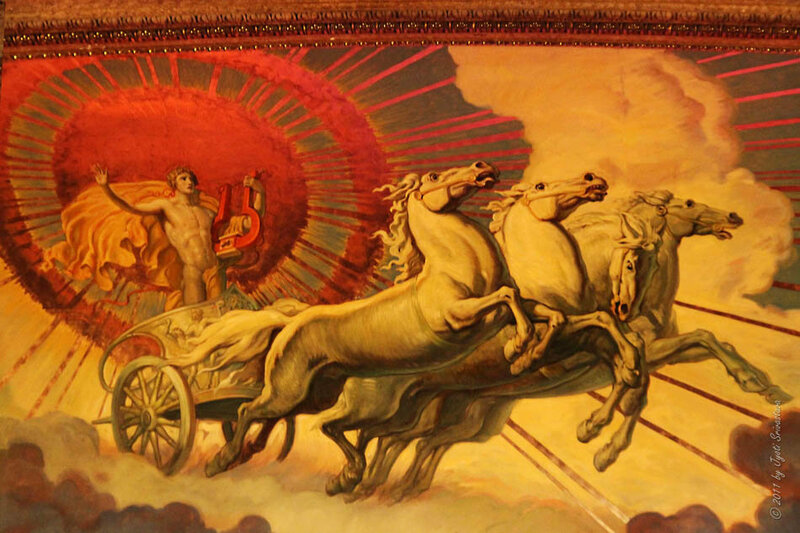 The Sun God of Litha is also the Oak King, God of the light half of the year. The Oak King is also at the height of His power, but a new challenge to his authority, the Holly King, God of the dark half of the year, is born on Summer Solstice. Though Litha marks the zenith of the Sun and the day of the longest light, it is also a day of sadness. From this day forward the Oak King/Sun King will begin to falter and weaken, for with birth comes death, the birth of the Holly King brings the death of the light half of the year and we begin to spiral into the darkness. We have begun to move towards winter. The power of the Sun at Solstice is protective, healing, empowering, revitalizing and inspiring. It adds a powerful charge to all spells, crystals and herbs. Divination on this night is traditional. Faeries: At Summer Solstice the phenomenon of the Trooping Faeries will begin. Trooping Faeries live in large communities like a clan and may travel great distances in long processions. You will know that the Trooping Faeries are about when you hear other-worldly music and the sounds of a raucous party. Their favorite pastimes according to Yeats is feasting, fighting, making love and playing music. On Mid-Summer night, keep your eyes and ears open and you may be lucky enough to catch a glimpse of them! Herbs & Plants: Mugwort, vervain, chamomile, rose, honeysuckle, lily, oak, lavender,ivy, yarrow, fern, elder, wild thyme, daisy, carnation. St. John's Wort - At Summer Solstice the Sun has reached its zenith in the sky and is as close to us in the northern hemisphere as it will ever get before it begins its slow descent which will lead us into winter. At Summer Solstice Saint John’s Wort is also in its height of flowering, and with its golden star-flowers full of stamens that look like rays bursting forth, the sun’s uplifting energy is captured on earth in the form of a humble flower. And hold my power high today. And all who have gone before. On Solstice during the heat of the noon-day sun, mindfully gather the St. John's Wort flowers. As you pick them envision the essence of the summer sun that is contained within each flower. Be sure to offer a prayer of thanks and leave an offering to the plant spirits for their sacrifice. I like to leave compost or pour Moon Water over the plants. Rip the flowers into smaller pieces or cut up with scissors. (Don't use leaves or stems.) Be mindful of the Sun's energy while you do this. Place the cut up flowers in the glass jar and add the olive oil. Place the infusion on a south-facing window sill so that the Sun's energy can enter your potion. Dedicate the potion to a Sun God such as Apollo, Lugh or dedicate the potion to the Sun itself if you wish. Leave it out in the Sun for 3-4 days, shaking the bottle once or twice a day. Whenever you handle your potion be sure to envision the Sun and it's magickal properties. In this way you will continue to "charge" your magick oil. After a few days your Sun Oil will turn red! Once the Oil has been exposed to the Sun for 3 - 4 days place it in a dark warm place for a month or two. Be sure to shake the Oil a couple of times a week. Using a coffee filter or cheesecloth, strain your magick potion and discard the flowers. Bottle and label your Sun Potion and it's ready for you to use. Empower magickal tools, candles, statues and spell ingredients with the energy of the Sun by anointing them with the Oil. Pour into your bath water to bring protection and the healing energy of the Sun. Anoint yourself with the Oil when working with Solar Deities or when you require Solar energy in your life or magickal workings. Midsummer's Day is a traditional time for Witches in all parts of the world to gather herbs from their gardens or from the wild to use in potions, dream pillows, and other forms of spell craft. They may be dried and burned on a charcoal disc during your magick spell or ritual. All herbs collected at Litha are considered to have extra magickal and healing properties. Light a bonfire and throw into it all things that have unhealthy, unwanted associations for you. At Litha we celebrate the power of the Oak King yet it is also the birthday of the Holly King who will grow in power and eventually overcome the Holly King. In honor of the Holly and Oak King place a holly and an oak leaf side by side on your altar. At the end of your ritual place the holly leaf on top of the oak leaf. Light a bonfire as a tribute to the sun. Place an offering in a well, stream or spring to encourage continued water supplied to thirsty growing crops. Decorate an oak tree with ribbons and flowers. Watch the Litha sunrise and sunset. Gather herbs for magick and healing. Cast a midsummer spell and divine your future. Midsummer is the best time to charge your crystals with the magickal energy of the sun. Create a magick wand. Go before dawn on midsummer morning to your chosen tree. Cut the wand with a single stroke and leave an offering for the tree. Leap the bonfire for luck and health in the coming year. Wear a crown of ivy, oak, holly and flowers on your head. To discover when you will marry, find a meadow ow lawn where daisies grow. Close your eyes and pull up a handful of grass, the number of daisies in the handful is the number of years you will remain unmarried. Place daisy roots under your pillow to dream of an absent lover. Place ash, laurel, sage or mugwort gathered at midsummer under your pillow for prophetic dreams. Marigold petals placed under your pillow will reveal a thief or robber. Rosemary will ensure pleasant dreams that you can remember. Lord of the Sun, I call upon Thee. Consort of the Goddess I call upon Thee. Lord of the Greenwood I call upon Thee. Charge this stone with your Power. Midsummer Eve along with Beltane and Samhain is a night of faery activity. They frolic around midsummer bonfires and love to play tricks on unsuspecting humans! To glimpse the Fae folk look through a loop made of a rowan branch or through a stone with a natural hole in it. If you see eerie mists in your garden, look for a faery mound nearby. If you find a gap in the mist and pass through, you may find yourself in the Otherworld. Faeries are most often seen at noon, midnight or twilight and may be visible to one person while invisible to another. If you see a faery, hold your gaze steady, for it you blink the faery will dissappear! Certain herbs, such as four leaf clover, thyme and primrose will help to "open the sight". He lost His life on the Solstice day.